Photo of Tsleil-Waututh Nation Sacred Trust Initiative communications coordinator Ben West by the 'selfie billboard' on May 2, 2017. The Tsleil-Waututh Nation (TWN) Sacred Trust Initiative launched an unusual and eye-catching project to spread the word to British Columbian voters on how to use the B.C. election to halt this controversial project. “We will use every opportunity we have to defend the coast from this pipeline and tanker project that is so dangerous for all living things” said Charlene Aleck, elected Councillor and spokesperson from the TWN Sacred Trust Initiative, in a news release. TWN’s Sacred Trust recently unveiled a first of its kind "selfie billboard" last week. 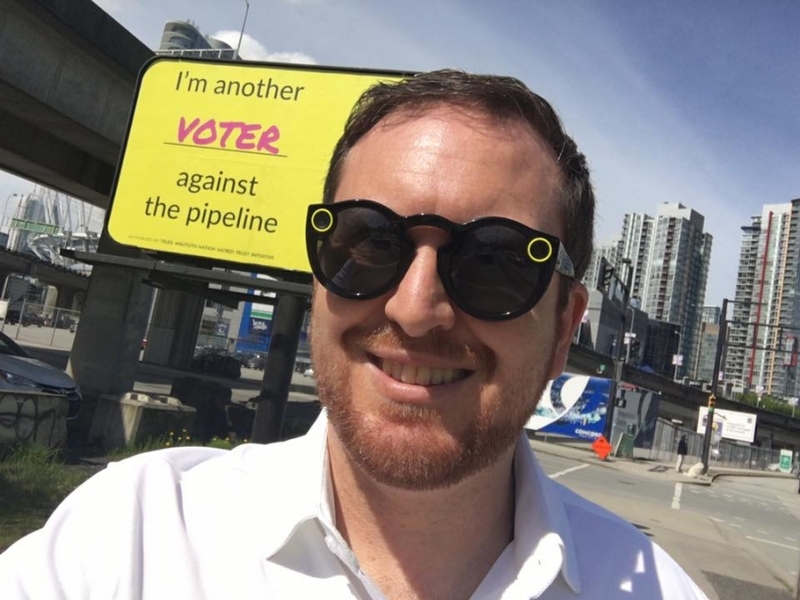 Now, passers-by on Expo Blvd approaching Carrall street will see a big yellow sign inviting them to take a picture of themselves standing next to a message on the billboard proclaiming: “I’m Another Voter Against the Pipeline”. 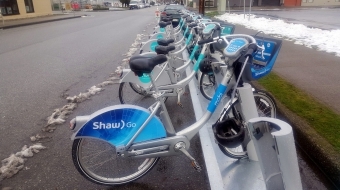 A bus shelter version of the ad is also in North Burnaby at Hastings and Kensington. The TWN Sacred Trust has also set up a custom built “sign making tool” on a campaign website: ImAnother.ca. “The politicians and oil executives that try to sell these projects to the public paint a picture of pipeline opponents being a radical fringe group but the reality is it’s all kinds of people from all walks of life that love this coast” said Aleck.